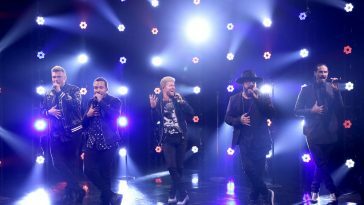 Backstreet Boys Performing On "Fallon," "Good Morning America," "Live With Kelly & Ryan"
The iconic group will celebrate the release of its new album. Backstreet Boys will release new album “DNA” on January 25. In conjunction with the release, the iconic quintet will make multiple high-profile TV appearances. The group will first take the stage on the January 24 “Tonight Show Starring Jimmy Fallon,” closing an episode that will also feature Jada Pinkett Smith and Steve Coogan.